This is the sidebar for fundraisers! 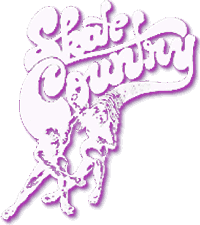 Skate Country can provide a fundraising opportunity for your school, church, sports team, dance team, clubs, etc. Fundraisers are held Tuesday through Thursday from 6:30 p.m. to 8:30 p.m. except during the Summer. The cost is just $5.00 per skater and skate rental is included. Your school or group gets $2.50 per skater with a minimum of 100 skaters. A deposit is required. Earn lots of $$$ with very little effort. All you have to is promote your event. We will provide you with flyers and tickets, you just have to get the word out. Invite brothers, sisters and friends. The more skaters you have, the more money you can make. For additional information or to schedule a fundraiser, please contact us at (504) 392-2227. Public fundraisers are held Friday Nights and Saturday Nights from 7:00 p.m. to 11:00 p.m., . The cost is $9.00 per skater with a 75 person minimum. Once the minimum has been reached, $4.50 is refunded to the group for each paid skater. A Deposit is required. We also have daytime field trips available for all grade levels. These PRIVATE field trips are held during the school day. Tuesday through Friday 10:00a.m.-3:00p.m. Ask about our discount for groups bringing 100 skaters or more. Celebrate the end of the school year, holidays, testing times, etc. We handle large or small groups with no worries about the weather. THE COST is $5.00 per skater with a minimum of 75 skaters. This is for a two hour skating field trip. With Skate Country field trips you never have to worry about unpredictable weather and we provide a SAFE, well supervised facility. All chaperones with your field trip may skate for FREE. Space is limited, so reserve early. For additional information or to schedule a field trip, please contact us at (504) 392-2227. A deposit is due and your contract must be signed within 4 days after booking your party. At that time, your tickets and/or flyers will be ordered. Tickets must be sold in advance and all unsold tickets must be returned to the manager prior to the beginning of your fundraiser or you will be charged for them.Personal fundraisers are not allowed. Skate Country Westbank reserves the right to confirm the existence of your organization, school, group, etc.For additional information or to schedule a fundraiser, please contact us at (504) 392-2227.